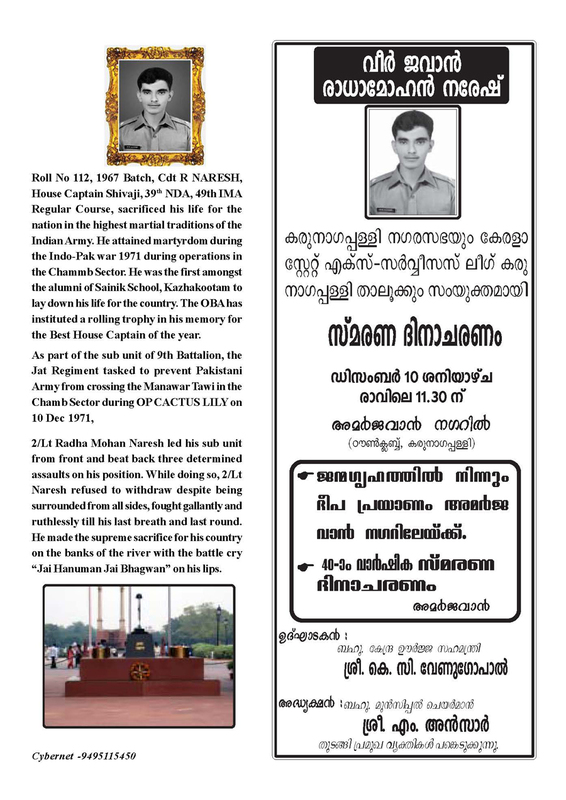 The Karunagapally City Council, in association with the Karunagapally division of Kerala State Ex- Servicemen League jointly conducted a commemorative function at Karunagapally, remembering the supreme sacrifice of the Second Lt Radhamohan Naresh and his services to the Nation. 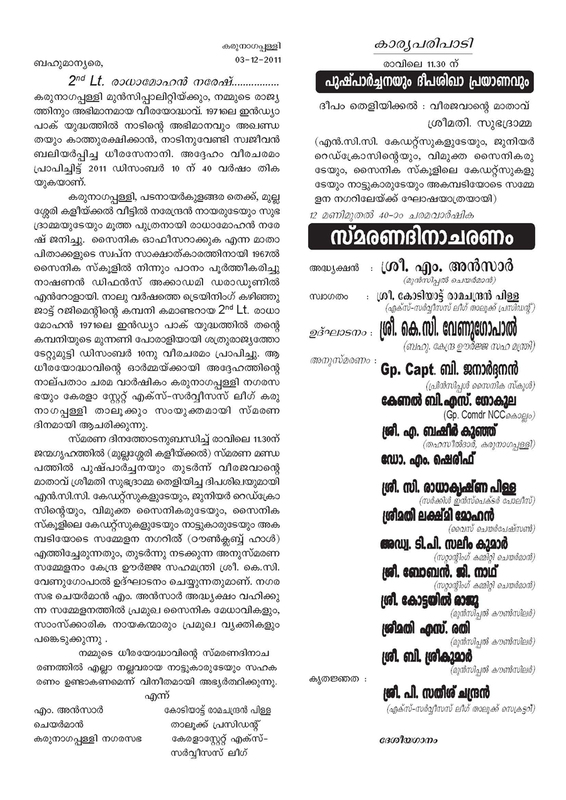 Here is the Invite, made available by CN Suresh/721/ Class of 1976. The online janitor of Kazhaks90, who keeps the "Common Room" in a semblance of order, and loves sharing anything relevant to Kazhaks worldwide. © 2013 Kazhaks 90 Trust. All Rights Reserved.